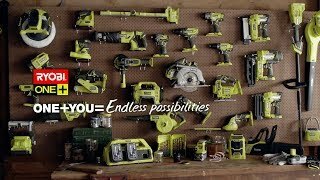 Feel the power of the RYOBI 18V ONE+ 3-speed impact driver. The motor generates a staggering 220Nm of torque from the ONE+ battery. You’ll have the luxury of up to 3,200rpm in spin speed with an impact rate of 3,400 impacts per minute. With these impressive numbers, you’ll find the RYOBI ONE+ impact driver was built to tackle the toughest of tasks. But it’s not just powerful – it’s also easy to use. The RYOBI ONE+ 3-speed impact driver includes all the extras you need to handle the fiddliest tasks. The tri-beam LED work light guarantees your work space is always well lit and easy to handle. The included MagTray means you’ll always have easy access to the screws and bits you need. Get your RYOBI 18V ONE+ 3-speed impact driver from your local Bunnings Warehouse today.